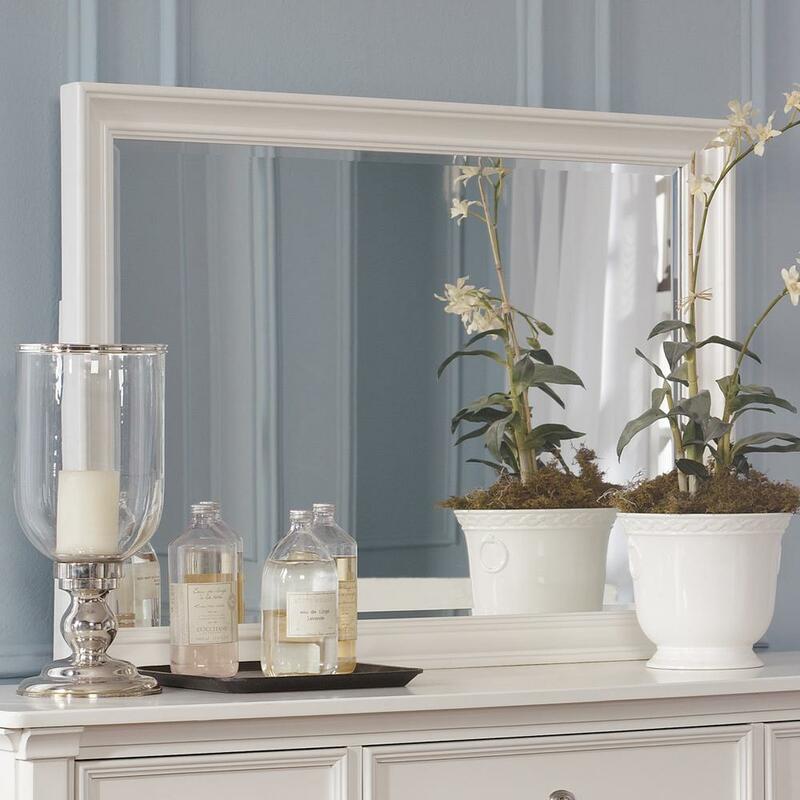 A clean and crisp molded frame wraps the edges of this beveled mirror. Hang above a dresser for a combination look, or fasten to an empty wall to add light and bring depth into a small space. The Prentice Dresser Mirror by Millennium at EFO Furniture Outlet in the Dunmore, Scranton, Wilkes-Barre, NEPA, Bloomsburg, Pennsylvania area. Product availability may vary. Contact us for the most current availability on this product. Create an uplifting atmosphere in your bedroom with the simple designs and fresh looks of the Prentice Collection. This bedroom collection is constructed with select veneer and hardwood solids with a crisp white finish. Satin nickel colored hardware accent the clean lines and panel framing of each piece. Classic silhouettes with a slight mix of contemporary style blends these collections pieces into a lively rhythm that is both serene and energetic. 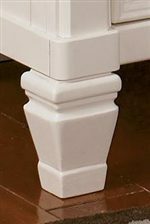 The Prentice collection is a great option if you are looking for Contemporary Traditional Casual furniture in the Dunmore, Scranton, Wilkes-Barre, NEPA, Bloomsburg, Pennsylvania area. Browse other items in the Prentice collection from EFO Furniture Outlet in the Dunmore, Scranton, Wilkes-Barre, NEPA, Bloomsburg, Pennsylvania area.